In my opinion, word of mouth is the greatest advertising there is. Not only is it free (score), but if someone genuinely thinks highly enough about the product or experience you provided them to recommend you to another, then hopefully that should make you feel pretty good about what you do. For me, it's the greatest compliment. Emily was referred to me by my friends Mark and Bonnie (whom I've shot for and who have graced this blog numerous times). 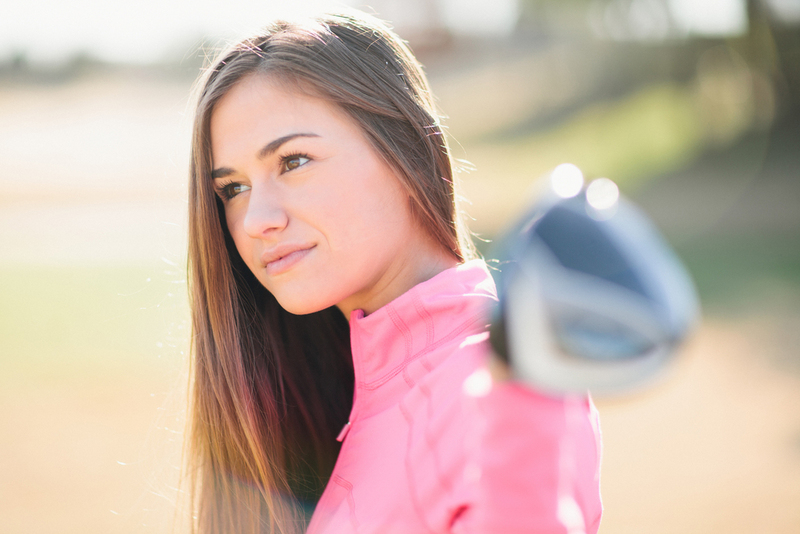 Emily's a professional golfer and her career is picking up steam and wanted photography as she's building a professional web presence. I was honored that she allowed to shoot for her one cold morning at the Four Seasons course.